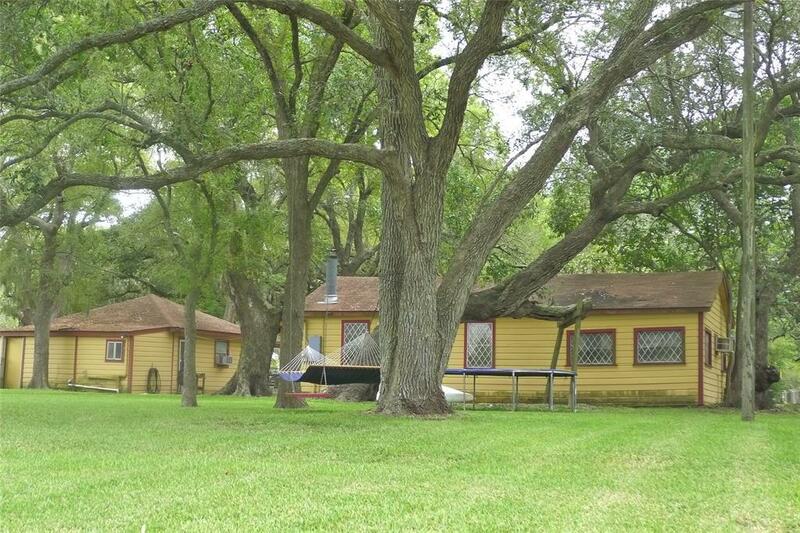 There are endless possibilities with this open concept home on beautiful Caney Creek. 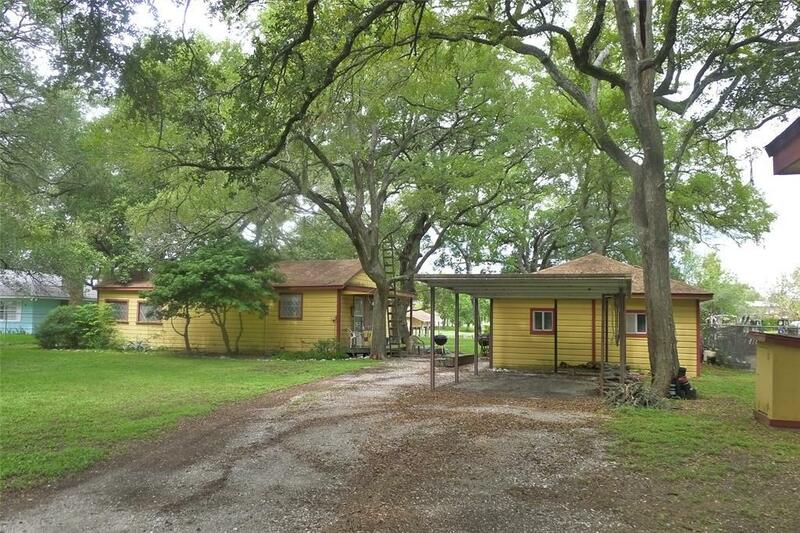 The main house consists of a living/dining/kitchen area with a wood burning fireplace, one bedroom and one full bath. The converted garage includes one bath room with a laundry room and two more possible bedrooms. 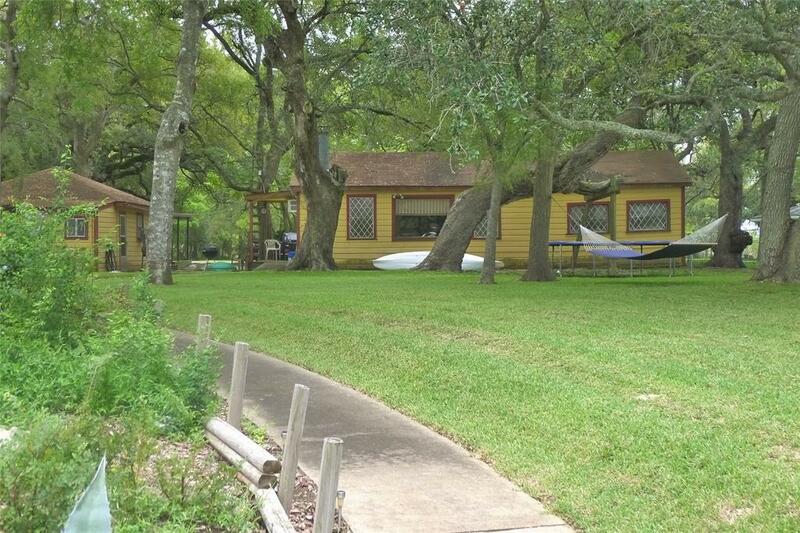 Located on a beautiful lot with mature live oak trees, fenced yard, an 8x10 storage shed, and 12x23 covered parking. 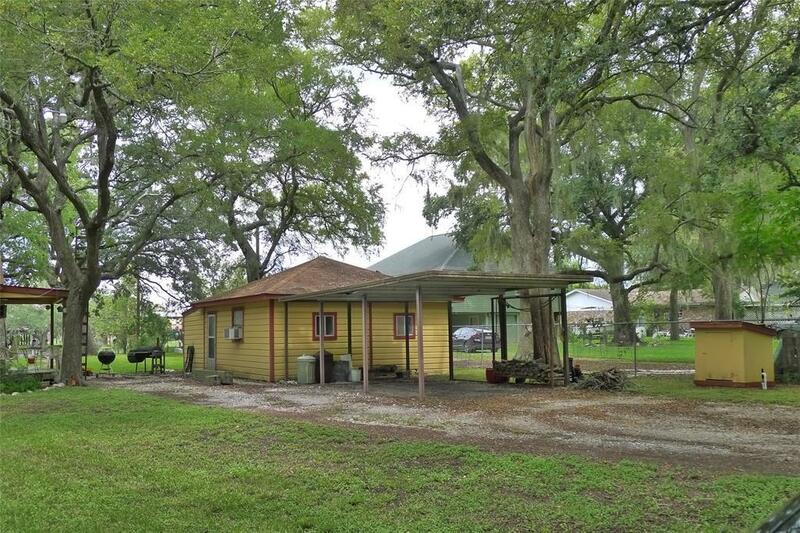 The 103 of Caney Creek frontage is completely bullheaded, with a large 29x28 pier, a covered boat slip, freshwater shower & fish cleaning station. A real fishermans paradise. Get out of the hustle & bustle. Feel the stress melt away as you captain the Seaswirl 2100dc boat, powered by an Evinrude 175 (included with the property), from your very own boat dock down the ICW to scenic Matagorda Bay. No flooding during hurricane Harvey. The 0.459-acre lot directly across the street also available.